After starting the season with a record of 6-0 and becoming ranked no. 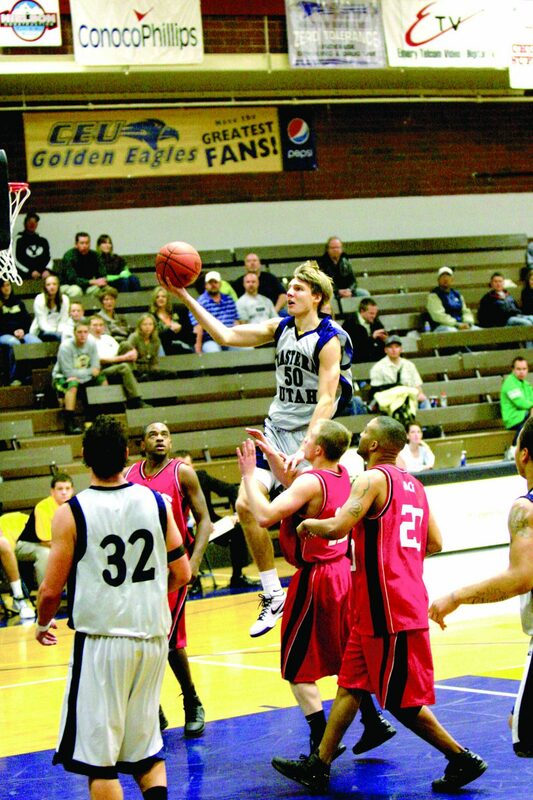 8 in the nation the Utah State University-College of Eastern Utah men’s basketball team had a target on their back. Since that time the teams record has been 3-2, giving Coach Brad Barton said, “I am very happy with the guys that are playing. They’re working hard together, they are sharing the ball. We have five guys that average double figures.” The team through out the season has out scored their opponents 1,011 to 846 as of time of publication. When asked why his team has been successful Barton said, “A lot of them have stepped up. Mills scores, Trevor hits threes, Hawk plays great defense. Our strength is balance and depth.” The team averages 48.5 rebounds a game, 18.2 assists and 7.6 steals.